The Hmong people fought alongside American soldiers against Communist forces during the Vietnam War. When the U.S. pulled out of the region, their Hmong allies were left to fend for themselves. Knowing that staying in Laos meant their deaths, many fled across the Mekong River into Thailand before immigrating to the U.S.
Vang served as a paymaster during the war, traveling to the front lines to pay soldiers. One of his worst memories, and a frequent nightmare, is the day he was captured by North Vietnamese forces. He was able to escape, but the experiences are always with him. Vang said he and other Laotian veterans deserve to be honored for their service during the war. Vang is one of the thousands of Hmong veterans asking Congress to pass a bill introduced by Central Valley congressman Jim Costa. 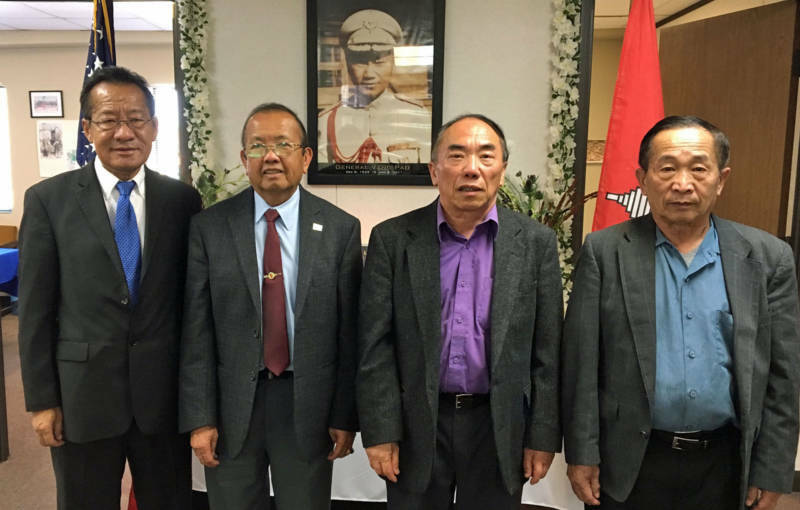 The Hmong Veterans’ Service Recognition Act would give Hmong veterans the right to be buried in national cemeteries. Along with that benefit would come some assistance with burial costs and grave maintenance. Rep. Costa has introduced similar measures four other times, but this time the legislation has bipartisan support in both the House of Representatives and the Senate. The Hmong veterans in Fresno say they lost their friends, family and homeland. Their numbers are dwindling as veterans die from old age and war wounds. Those who survive desperately want to be recognized for their service. Peter Vang is not a veteran himself, but he immigrated to the U.S. at 15 with his father, who was a veteran. At Lao Veterans of America, he advocates on behalf of veterans and helps connect them to services. He still remembers life during the war, when he never knew if his father would walk in the door, alive and well, or if he’d come home in a body bag. Now his father is aging and doesn’t want to die before he knows he’ll be honored in the same way as his American brothers.